The main event on day 3 (Saturday, May 23) of our 5-day vacation was lunch at the Victory Brewing Company, followed by a brewery tour. 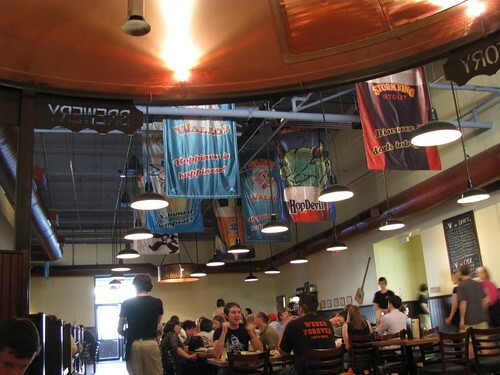 Victory Brewing Company is located in Downingtown PA, 33 miles west of Philadelphia. The food was good, not great. Bob ordered fish and chips; I ordered a smoked house burger with sweet potato fries. The restaurant/bar was cavernous, the noise deafening. It was not easy to carry on a conversation with the poor acoustics. The brewery tour, which was free, was good. I took a few photographs during our tour.